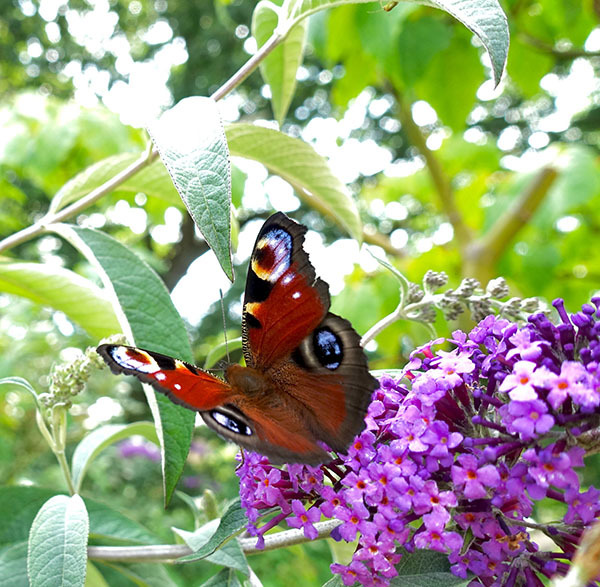 Don't forget to take part in the Big Butterfly Count, the national butterfly survey that’s currently taking place from 20th July to 12th August. It’s quick and easy — all you need to do is spend 15 minutes outside, preferably somewhere sunny, looking out for and counting butterflies. 1. You'll be taking part in the world's biggest butterfly survey, providing conservation organisations with valuable data about UK butterflies, and the health of our wider natural environment. Butterflies are really important biodiversity indicators — declines in butterfly populations often predict other wildlife losses. 2. Participating feels good! Partly because contributing to something so worthwhile tends to make you feel good, but also because being outdoors, especially observing nature, really does lift your mood and calm your mind, something you'll already know if you're a keen Boggy Doodler. 3. You may well learn something new! Many of us only know a tiny bit about the common butterflies we see in our gardens. The Big Butterfly Count is a great opportunity to boost your butterfly knowledge. Being able to identify different butterflies is a simple but satisfying way to connect with nature when you're out and about. 1. Sketch quickly! 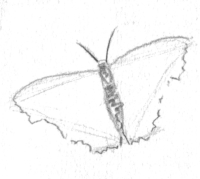 Try to look at the butterfly more than your paper, capturing the main shape and outline first. Note the dominant shape (often a shallow triangle, sometimes more of a square) and then carve in the angles of the wings. 2. Remember the wings are a mirror image, so sketch one side first. 3. Unless you have a very compliant butterfly posing for you (or a dead one…) take photos so you can add colours, details and delicate wing patterns later on if you wish. 4. Use words. Describe the colours and patterns that you're observing out loud so that if the butterfly flies off, you can make a note of them next to your sketch. 5. Relax. You don't need to produce an accurate sketch. 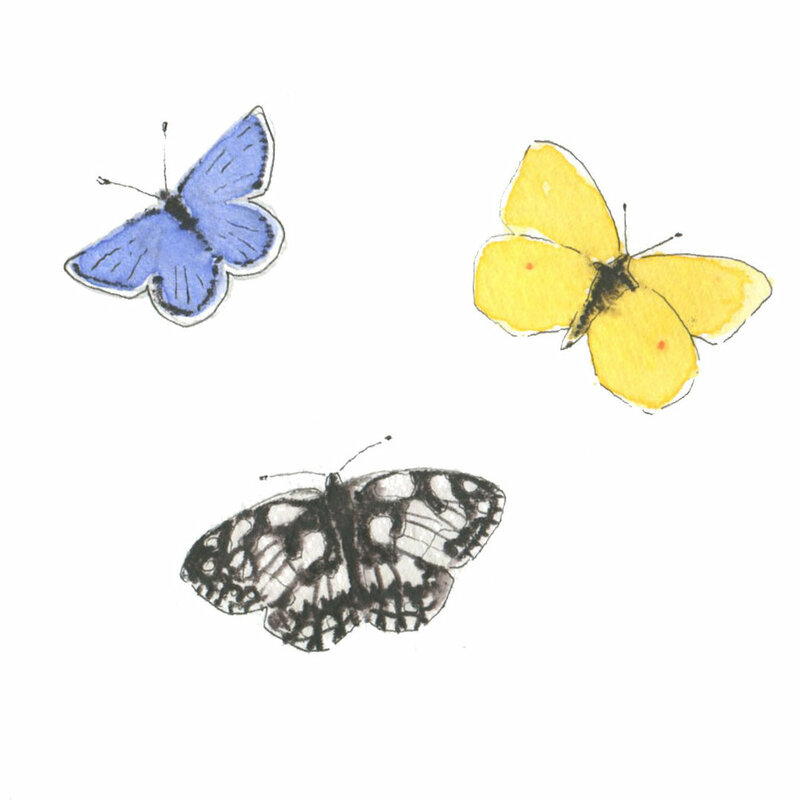 Your doodle is just a reminder of a moment a butterfly crossed your path. It doesn't need to be perfect to make you smile.